Sarah Bonnema served in progressive positions in the nonprofit sector, working from volunteer positions to a director-level position. Now, Sarah serves as a consultant to other nonprofit organizations and an adjunct instructor at the University of South Florida College of Public Health. Sarah learned to write grants while working on federal-level grants for Mayo Clinic’s Behavioral Health Research Group, and enjoys using her writing skills and background in program evaluation and management to help nonprofits deliver on their mission and grow their work. Sarah earned a Master’s of Public Health degree from the University of South Florida with a Behavioral Health Concentration, and is certified in public health by the National Board of Public Health Examiners. Sarah also has a BA in Journalism & Mass Communications from Whitworth University. 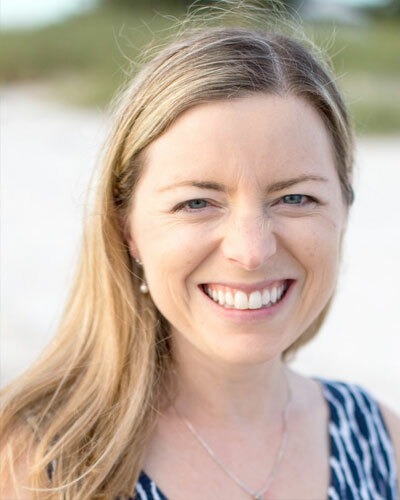 She has been published in numerous academic journals and coauthored a book chapter on the history of sleep medicine published in “Atlas of Clinical Sleep Medicine.” Sarah moved to Tampa with her husband, David, in 2008 and loves mentoring young women, traveling, exercising, and spending time with her preschool-aged daughters.